As the spoof public service announcement “Bitchy Resting Face” went viral, many began pondering the idea that consistently looking angry will actually speed up your aging process. The video focuses on the “11’s,” which are the lines that rest between your eyebrows and are usually only seen when you are feeling worried or just pissed off. However, it turns out that the 11’s, or the glabella lines, is one of the most common areas treated with Botox. A majority of men and women might be against Botox because they think it is not safe, or they just do not want to have a needle stuck in their face. Other people are just simply traumatized by celebrities that have overdone the treatment or were victim to a botchery. The trick is to find a board certified dermatologist or a plastic surgeon that specializes in “aesthetic cosmetic dermatology.” These are the docs that do not look at Botox as a cookie-cutter procedure, but that each patient requires different injections and dosage. Botox has gained its popularity by making women feel rejuvenated when they look in the mirror, which in turn simply makes them feel better about themselves. There is no doubt that anyone who consistently worries or adapts an angry personality, will show more aging on their skin… it has happened too many times before with too much proof. 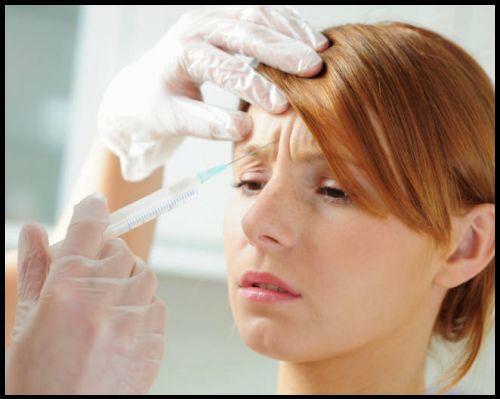 If Botox is not the direction you want to travel in, then stop worrying, but if that just is not possible, go for Botox.